When you’re paying per click for online ads, you can’t afford to have unqualified leads clicking through to your site and deciding they’re not interested in what you offer. You need to run ads that catch the right web users at the right time, increasing your leads at the top of the funnel and moving them towards making a purchase. Our team at Leverage Marketing knows just how important it is to attract the most qualified leads through PPC campaigns. We perform in-depth keyword and customer research in order to target the right web users when they are searching for a solution or answer that your business provides. 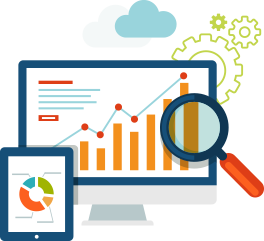 We also perform negative keyword research and testing in order to filter out unqualified leads and reduce your costs per click. Our PPC lead generation services don’t end with your ad campaigns. We also create landing pages and contact forms to align with the offers in all your ads. We rigorously test the copy, calls-to-action, form fields, and other on-page elements to get as many visitors as possible to convert. Our team can even create high-value gated content—including whitepapers, guides, and infographics—to give visitors greater incentive to complete a form. Want to learn more about how we tailor PPC strategies to increase the number of and the quality of your leads? Let’s talk.